I’ve become somewhat obsessed with making crafts from books. I have some books I don’t want anymore and I don’t want to throw them away, so I’ve been on a hunt. I bought a book The Repurposed Library and have marked what I want to make ( I love the book bursts). Then I found a bog with glass ornaments decoupaged with old book pages, and create my own version. 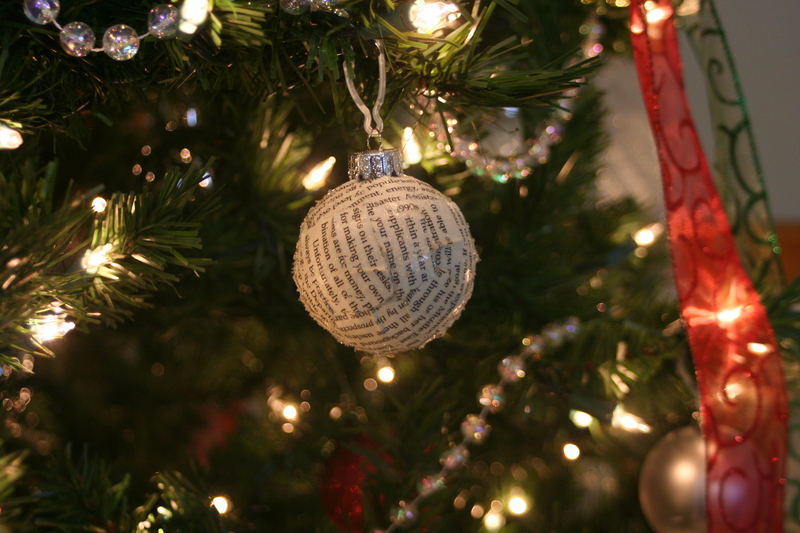 I purchased some plastic ornaments and glitter from Hobby Lobby, tore strips of paper from the pages of an old book and decoupaged the papers on with Modge Podge. 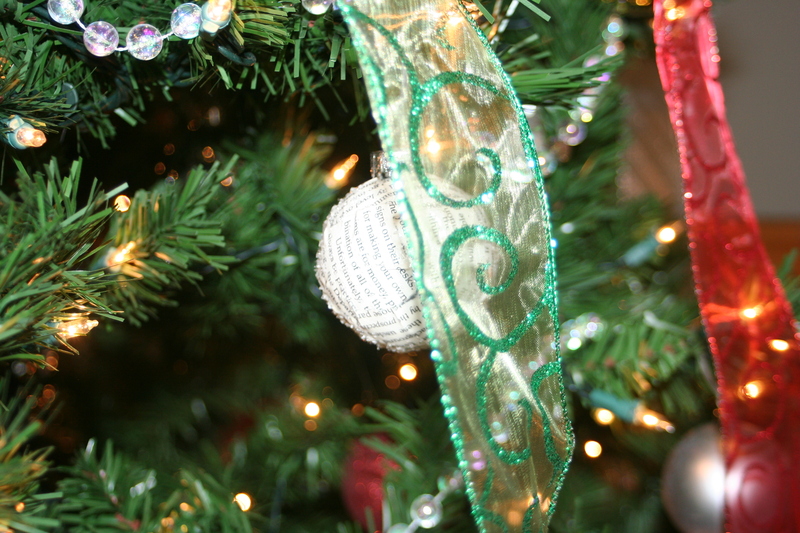 I then sprinkled glitter over the ornament. I found that it worked better to let the ornament dry, then spread a thin layer of Modge Podge and sprinkle with glitter. The glitter I used was a fine ground glass. It was clear and gives a beautiful sparkle. Below are the results. I definitely need to work on taking good photos!